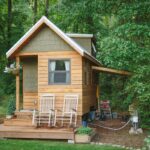 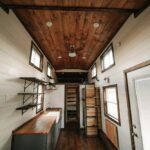 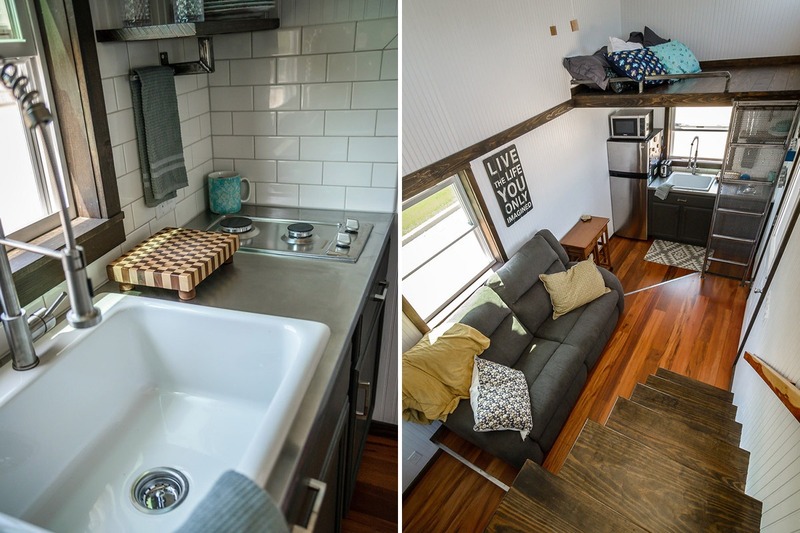 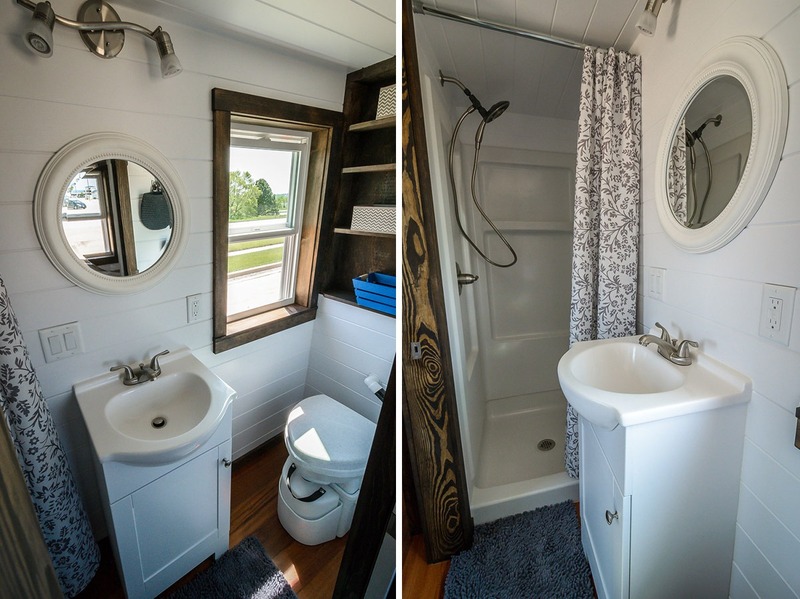 Another stunning creation by Wind River Tiny Homes. 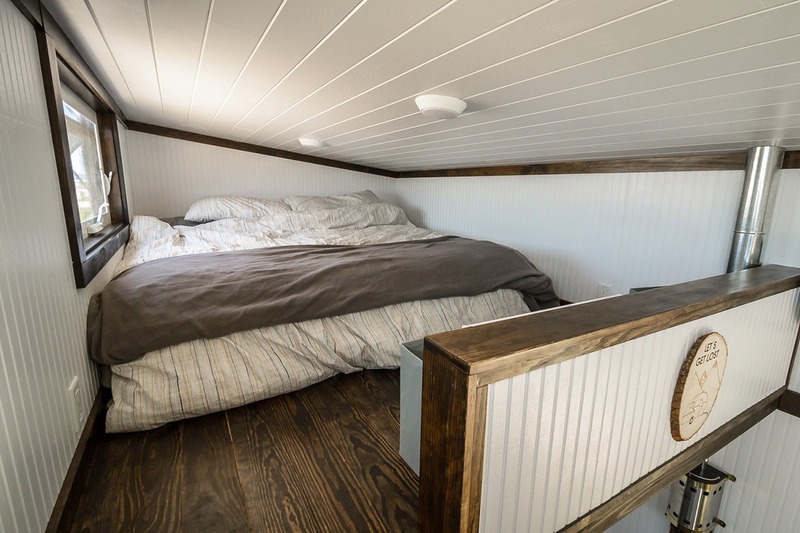 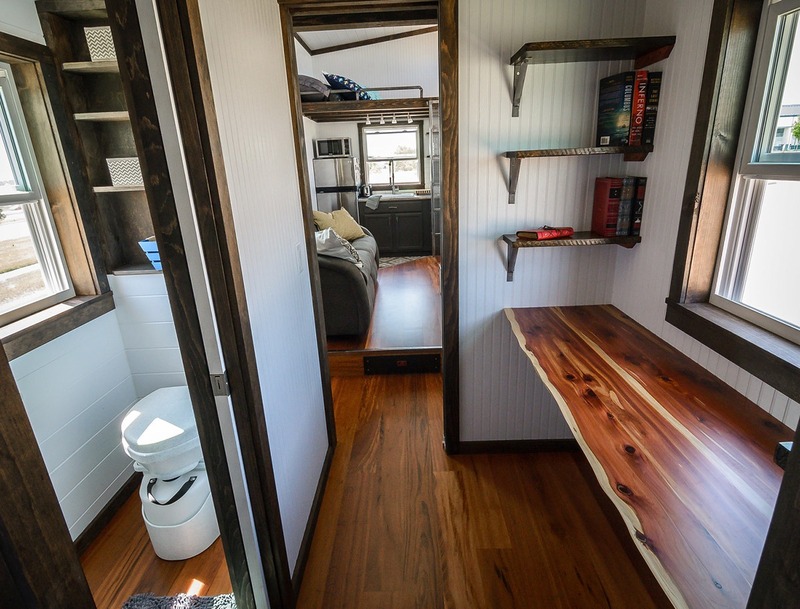 The Triton has a unique custom floor plan that comes complete with an office and walk in closet. 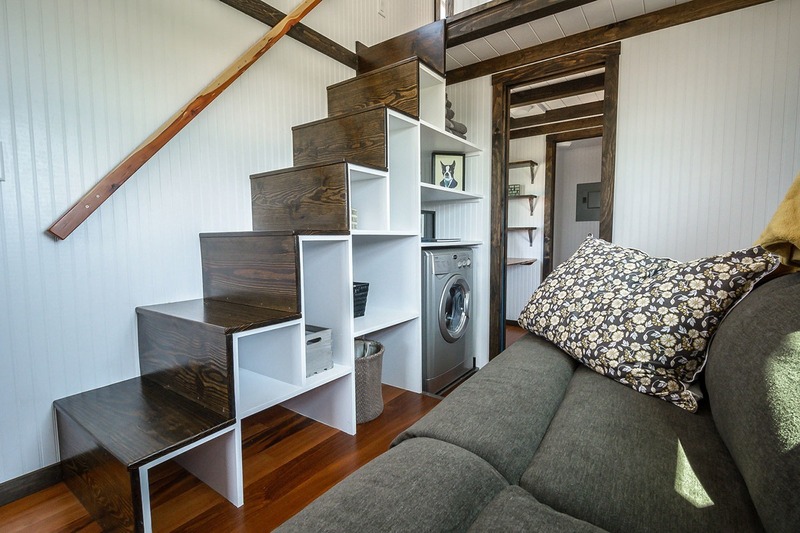 A custom-welded ladder with wire vertical storage leads up to a storage loft. 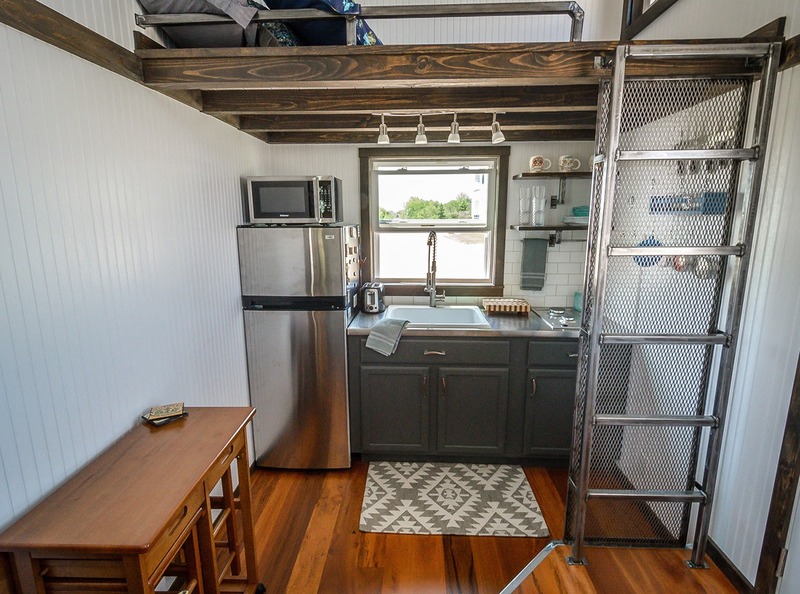 Custom welded shelving and stainless steel counters complete the industrial accents. 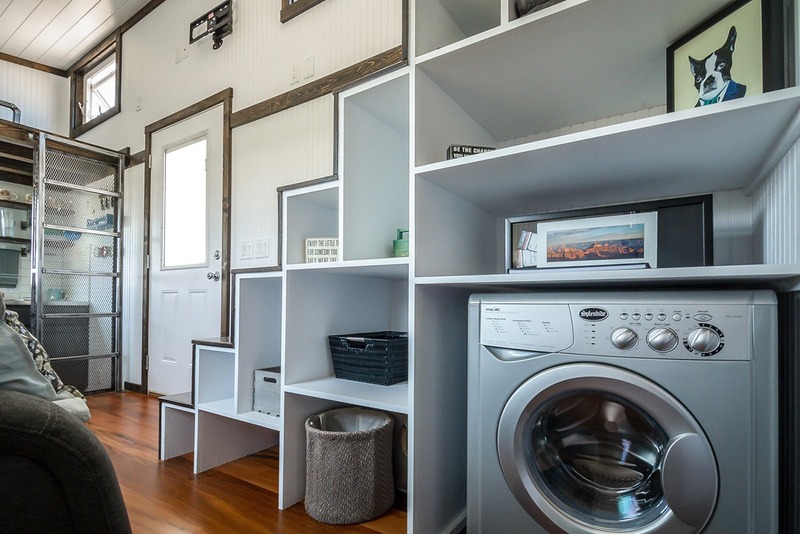 The bathroom, office space, and walk in closet are located under the loft. 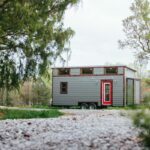 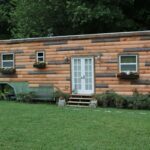 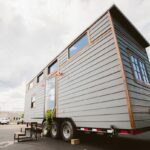 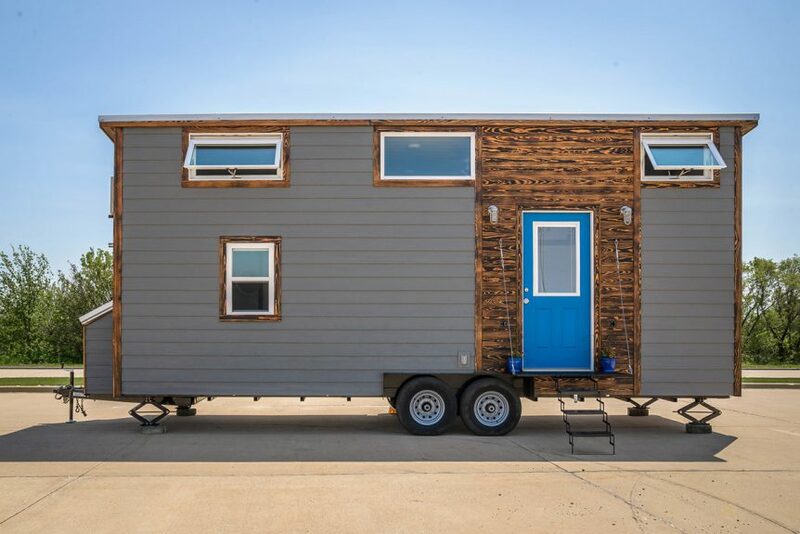 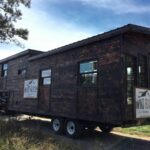 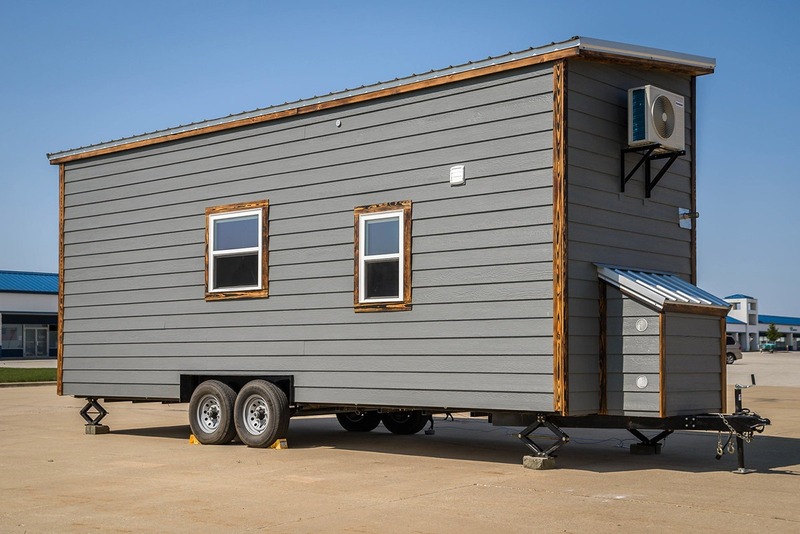 Also available from Wind River Tiny Homes: Noah, Silhouette, Big Whimsy, Ironclad, Monocle, The Phoenix, Nomad’s Nest, Wind River Bungalow, The Mayflower, The Chimera, The Rook.